Bitminer.eu is one of the new names in the world of cloud mining. However, the fact that it’s new doesn’t mean that it can't win us over with its incorporation of the latest crypto trends, followed by advanced statistics, stable hash, immediate mining payouts, and 24/7 technical support. If you’re willing to try something (relatively) new and freshen up your Bitcoin mining routine, Bitminer.eu definitely has a couple of aces up its sleeves. In order to provide you with detailed insight into this company's offer, we present you our comprehensive Bitminer.eu review. Continue reading to find out whether Bitminer.eu is a good fit for your Bitcoin cloud mining needs. Bitminer.eu isn’t a company with a long tradition, but when it comes to the world of technology and innovation, new companies are usually the most progressive ones. Bitminer.eu was launched in November 2015 and was officially incorporated in January 2016 under the name Bitminer Cloud EU Ltd. It’s based in London and registered in both England and Wales. This flourishing cloud mining company has attracted more than 45.000 customers in about a year and a half, and the number of satisfied users keeps growing on a daily basis. Using Bitminer.eu is quite easy and anyone who’s the least bit familiar with cloud mining shouldn’t face any problems while mining cryptocurrencies with this company. Registration is extremely simple and can be done in a couple of minutes. Bitminer.eu allows you to create an account for free without asking for any of your sensitive information. Bitminer.eu provides daily payouts for all its customers. Once you start mining, you’ll receive regular payouts every mining day between 8-12 A.M. GMT+2. In order to purchase hashpower and start mining, you need to deposit BTC, AltCoin or USD. In case you want to deposit USD, you can do it via Perfect Money or Payeer, which supports all major credit and debit cards. Bitminer.eu offers you internal USD to BTC exchange within its website at live market prices and with a 0.15% fee. Bitcoin and AltCoin are deposited through CoinPayments. Withdrawal is also done through CoinPayments, with the withdrawal minimum being 0.002 BTC. Bitminer.eu charges a 0.001 BTC fee for every withdrawal. CoinPayments fees are charged separately. You can withdraw BTC from your account anytime you want. 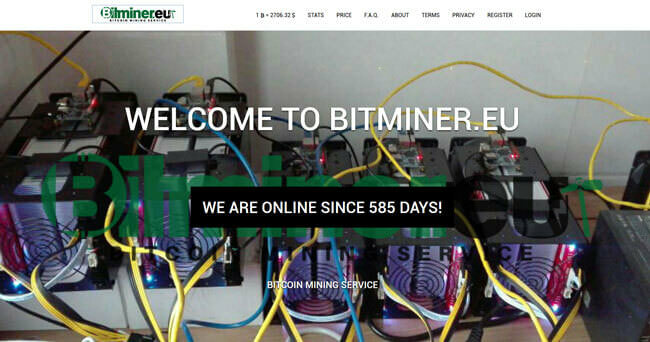 Bitminer.eu operates two mining farms. 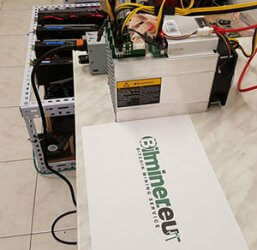 One of them is located in Italy and you can see the hardware it uses in a video provided by Bitminer.eu on its website. The other data center is in China and Bitminer.eu, but the company doesn’t offer any detailed information about it. Although Bitminer.eu doesn’t specify which mining pools you can access, it provides information about the mining algorithms it works with. As a Bitminer.eu user, you can gain access X11, Scrypt, Equihash, Ethhash, and Pascal algorithms, depending on the cryptocurrency you want to mine. As we’ve previously mentioned in our Bitminer.eu review, payouts are received daily, but they start from 1 MH/s for Scrypt, X11, and Pascal, 10 GH/s for 16nm, and 1 SOL for Equihash. As soon as you access your account on Bitminer.eu, you get all the necessary details about your potential cryptocurrency mining. Once your money is deposited, you can buy hashpower and start mining one of the supported coins. Alongside instant connection, Bitminer.eu also offers fixed fees for maintenance, depositing, and withdrawal. If you decide to deposit USD, your fee is 5%, so depositing crypto money might be a better idea since the deposit fee for AltCoins is 1% and 0% for Bitcoin. Bitminer.eu also offers instant withdrawals. You just need to have enough BTC in your account to start the withdrawal. Most Bitminer.eu contracts are lifetime contracts and stay active as long as you want. You can find more information about Bitminer.eu’s contracts and plans in the Plans & Pricing section of this Bitminer.eu review. In addition to lifetime contracts and adjustable hashrate purchasing, Bitminer.eu also gives you the opportunity to sell all the hashpower you don’t want to use and get BTC for it. Another superb feature Bitminer.eu provides is its Vault. It helps you earn a bit extra just by maintaining an active Bitcoin balance. Any user that regularly uses Bitminer.eu to mine crypto money gets 0.25% weekly interest and 1% monthly interest automatically transferred to their account. If you’d like to earn some extra money, you can refer a friend and earn 3% for every deposit they make. With Bitminer.eu, you get a 99.9% uptime guarantee, but if you encounter a problem or have a question, you can contact customer support via email or submit a ticket on the Bitminer.eu website. The site also features a knowledge base and FAQ, but they aren’t especially well-organized or informative, so contacting the staff might be a better option. Bitminer.eu offers 6 different pricing plans: Secure Your Bitcoin, Bitcoin Mining, Ethereum Mining, Contract Earning, X11 Mining, and Scrypt Mining. Secure Your Bitcoin is actually the Vault plan and it starts from 0.011 BTC and provides you with 0.25% weekly interest. This plan doesn’t charge any maintenance fees and provides instant withdrawal anytime you want. Bitcoin Mining provides instant connection after you purchase at least 1GH/s hashrate at the price of 0.00007 BTC. The daily maintenance fee for this plan is 0.0002 USD / GH/s. Ethereum Mining plan offers 1 MH/s for 0.009 BTC and you can buy up to 100 MH/s at once. The maintenance fee is 0.012 USD / MH/s. Daily payouts are transferred to your account in BTC. With X11 Mining, you can buy hashpower for 0.0019 BTC / 1 MH/s. You can also purchase a maximum of 100 MH/s and the maintenance fee is 0.001 USD / MH/s. With Scrypt Mining, you get 1 MH/s for 0.0032 BTC and the maintenance fee is 0.01 USD per MH/s. Payouts are also transferred in BTC. Unlike other pricing plans, Contract Earning lasts for 180 days only. One contract costs 1 BTC and you can buy up to 10 contracts at the same time. Payouts are daily in the amount of 0.00611111 BTC / day / contract. 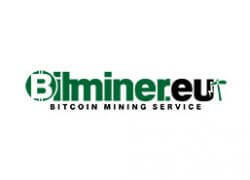 Bitminer.eu is a young cloud mining service, but it certainly does its best to make serious progress on a daily basis. It uses numerous mining algorithms and provides you with access to two farms located in China and Italy. As soon as you create an account and deposit money, you can start mining your crypto coin of choice. While the company does have a few shortcomings, it has many more advantages that definitely make it worth your time. It works great for me. I’ve managed to make 5% profit so far with minimum investments. So far so good. It’s legit, I must say that. I just don’t like that they charge too much for fees. I don’t know what to do with this company. At first everything was ok, I made some small profit, but I didn’t expect millions on the first week, let’s face it. But I’ve been having some troubles lately. Like, I wait for my withdrawals for days and such… Fix that asap! Bad, bad, bad! Stay away from it guys, it’s not even worth the name of scam! I’m only happy that I’ve managed to sell that hashpower I had and stop wasting my money.